On Sunday July 31st, artist Edmund Mooney invites the public to join him in processing his fieldwork for Chance Ecologies: Flushing River. This six-week-long artists residency is located at the Studio In The Park, adjacent to the Queens Museum. Join sound artist Edmund Mooney at the Studio In The Park for a listening session based on his research into the historic and modern landscapes of the Flushing River. 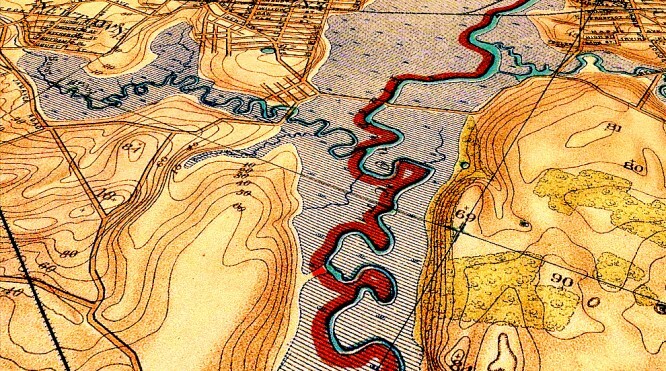 Using 21st century recording technology and a map from 1891, Mooney will attempt to peel away layers of sound and history to get to the primeval Flushing Creek.